Display Cars | American Train Vacation | 817-696-1507 | America's Trains Inc. Display cars are rebuilt baggage or coach cars with one large or separated special purpose areas. Space is used for displays and presentations by a single large or multiple smaller product lines. 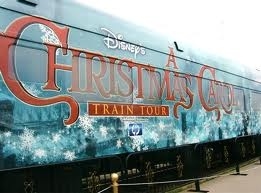 Cars are exclusively available for short or long term charter traveling as part of Train Sets to promote products throughout the USA; or, a booth/space can be purchased to promote a current product type or theme. They are open to the public at en-route destinations with suitable Car parking facilities. They may sometimes be dropped off and remain at a destinations for a short period of time before they are picked up by a subsequent Train Set. Full facilities to enable presentations and displays. A large door that opens downward to create an outside patio or display area, and for loading larger items. Space and comprehensive support aids for business and other meetings or presentations. Storage space for inventory and equipment. Customization as required to present a specific product or service at Journey by Rail stopovers, or at desired varying locations. A sound proofed electrical generator; large and inside the Car, or smaller but adequate under the Car. Car exteriors can include typical or be fully wrapped with promotional signage, like the photo example. Accommodations are available in other Cars for display and presentation personnel if required. Six Display Cars will be introduced within a few years or sooner based on demand. Also see the following PDF flyer that can be downloaded. Click on the following cars for related information.